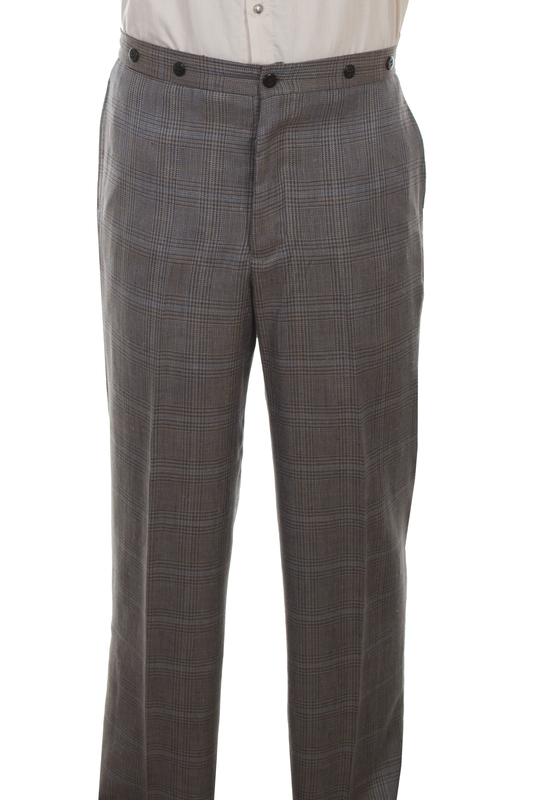 These traditional plaid pants are tailored with attention to detail. They feature a button fly, two side entry pockets, two rear pockets with an adjustable back strap for fit and susppender buttons. Match these pants with matching vest and town coat.